by Helen H. Hu, OMD, L.Ac. Diabetes Mellitus is a syndrome characterized by hyperglycemia resulting from impaired insulin secretion and /or effectiveness. There are many complications of diabetes such as retinopathy, nephropathy, atherosclerotic coronary and peripheral arterial disease and peripheral and autonomic neuropathies. There are two types of diabetes IDDM (type: insulin Dependent) and NIDDM (type II: Non insulin dependent DM). What causes Xiao Ke (diabetes) in the Chinese Medicine point of view? It is believed that people who indulged in alcohol and sweet and/or greasy foods and have an irregular, unhealthy and sedentary lifestyle are prone to develop Xiao Ke diseases. This lifestyle easily consumes and blocks the body’s energy. Once the body’s energy is blocked, there is stagnation and eventually, toxic heat will be generated. The toxic heat will further consume the vital organ’s fluid and cause organ malfunction and disharmony. The lung organ, spleen and kidney have not been in harmony for a long time before Xiao Ke (diabetes) develops. The first step to treating and/or preventing diabetes is to start with exercising regularly and food therapy such as the Chinese diet therapy (Chinese Yao Shan.) Recently research indicates that our muscles transport blood glucose into the muscle cells to lower blood sugar level without the need of insulin during muscle exercise. That is the reason exercise is important in preventing diabetes and helping to control blood sugar. The increased circulation prevents and helps in delaying any degenerating complication such as neuropathy. There are several categories for Chinese food therapy in preventing and in the treatment of diabetes. 1. In general, diabetes patients should eat more bland food rather than hot spicy food that further damage body yin fluid, avoid sweet and greasy foods and alcohol consumption. Smoking can further damage lung yin fluid that can worsen Xiao Ke (diabetes) in Chinese Medicine theory. 2. Try to avoid processed carbohydrates, eat more multi-whole grains such as corn, barley, buckwheat, brown or black rice. 3. Eat more green leafy vegetables. 4. Limited the amount of fresh fruits, due to the high content of sugar. 5. Drink green tea regularly to help prevent diabetes. Just make sure that you do not drink too strong or highly concentrated green tea, otherwise, it will compromise calcium absorption. 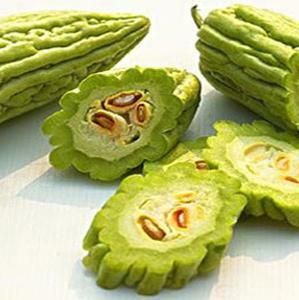 Certain foods have the property to assist in lowering blood sugar such as: bitter melon, onion, shitake mushroom, kelp, black and white fungus (mushroom), bean sprout, seaweed, bamboo, and seafood. Even though TCM classified diabetes into three types based upon clinically manifest only, but there are three main organ patterns according to what is the imbalanced organ involved, so that, food therapy should be directly stress the involved organ. Patient in this pattern the main complaint is being thirsty and may drink a lot of water, but still have a dry throat and mouth with sensitivity or even painful in the throat. Patient will have yellow color of urination, dry stool. If you look at your tongue, it appears red tongue and light yellow color coating due to too much heat in the organ and water cannot save the heat. 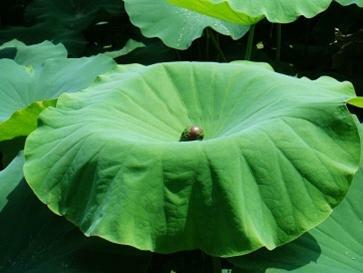 Cooking instruction: Cook two ingredients in water to make rice soup, and cover the soup with the lotus leaf as a lid. Cover the soup while cooking. Cooking instruction: Cook rice in water (150 ml) until soft, and then add soy bean milk (500 ml – no sugar added). Cook for another 2 minutes until starchy and serve. Intake: Can take it as breakfast or along with meal. Cooking instruction: Cook the ingredients together in water to make soup. Then add pinch of salt, few drop sesame seed oil before serving. Clinically this type of diabetes, the person is always very hungry with a vicious appetite as main symptom. They will have a feeling of constant thirst, weight loss, frequent urination and constipation, dizziness, blurred vision and tinnitus. Food therapy is mainly to clear the heat in the stomach organ. Cooking instruction: Cook tofu in water first. After 2 minutes add tomato into boiling soup and cook with tofu until boil. Then add starch-coated fish into soup until fish is cooked. Then add green onion and spices at the last and spices of your preference. This type of diabetes with longer illness with main complaint of frequent urination with copious amount of urination, some of the urination smell sweet or look turbidity or even milky color. Most patients will have some weakness of both knees and sore at the lower back. People also have other signs and symptom such as dry and itchy skin and dry lips and dizziness and tinnitus. Cooking instruction: put all above ingredients together with water in a cerement pot. Cook at low temperature for hours after initial bring to boil. Add species desired before serve. Intake: take it warm, once a day as soup. Dr. Helen Hu, originally from Beijing China, has studied Traditional Chinese Medicine (TCM) since the age of 12. A Cardiologist and practitioner of integrated medicine for nine years before immigrating to the United States, Dr. Hu passed the “U.S. Licensing Medical Exam” (USLME) in 1997 while simultaneously obtaining her Oriental Medical Degree (OMD) in the US. Dr. Hu currently directs and manages a successful TCM practice in San Diego. She lectures locally on Acupuncture and the benefits of combining Eastern / Western styles of Medicine. Dr. Hu has been practicing Tai Ji and Qi Gong over 25 years, and she teaches these ancient Chinese arts Saturday mornings on Shelter Island in San Diego as a gift to the community and to help promote well being and longevity. This entry was posted in TCM Food Therapy and tagged energy, food therapy, health, medicinal, Qi, Qigong, recipes, TCM. Bookmark the permalink.